New York, NY, May 23, 2018	(Newswire.com) - ​​ContentWriters has rolled out their much anticipated topic marketplace, a hub where customers can browse hundreds of topics and purchase a unique piece of content on the spot. A well-written piece of content works wonders for establishing trust, building authority, boosting search engine rankings, and increasing traffic to a website. The problem that many companies face with content marketing is that it’s a highly specialized, labor-intensive creative process that requires a great deal of expertise. Now, businesses don't have to worry about doing any research prior to ordering content. With the new marketplace, ContentWriters has removed a key barrier that companies often face which prohibits them from seeing content marketing in action. The new topic marketplace allows customers to browse topics across a multitude of industries such as medical & healthcare, travel & lifestyle, legal, and automotive content. Each topic contains a brief summary explaining the details of the content, which may come in the form of blog posts, email newsletters, or white papers. This allows the customer to gain a keen sense of what to expect from the content. They can also customize the pitch to ensure a fit with their brand voice, target audience, and content goals. 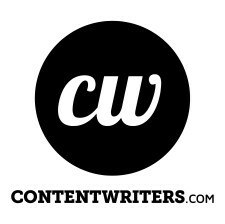 ContentWriters is continuing to develop new tools that add value to content marketers worldwide. The writing service has plans to deploy a topic generation engine in the near future, which will permit customers to automatically ping writers any time they need topics for content, making it easier than ever to maintain a steady flow of high-quality content. ContentWriters specializes in providing high-quality content for all major industries. By pairing expert writers with industry-specific clients, ContentWriters.com ensures that clients’ needs are exceeded every time. The company produces all forms of content, including blog posts, email newsletters, social media posts, press releases, product descriptions, website content, and white papers. For more information about the services that ContentWriters.com provides, please visit www.contentwriters.com.